If man have not fallen into sin, would everyone fit on Earth? What would have been if Adam and Eve did not fall into sin? I have a question regarding the existence of the humanity. If Adam and Eve did not inherit sin, would we have been without sin? Would all the people from Adam and Eve have lived until today on Earth? 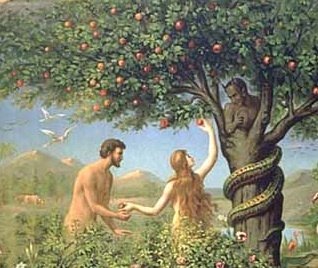 The first thing that I have to mention is that Adam and Eve did not inherit sin. They were the first people created by God and they did not inherit their sin from their parents, because they didn’t have such. They were the first once to fall into sin and this sad event is recorded in the third chapter of the book of Geneses, the first book of the Bible. So is, that death came into the world through Adam and Eve who have sinned. Death is the consequence of their sin, which spread over the entire humanity. We, all the rest of the people have inherited the sinful nature of Adam and Eve and we have also inherited the consequence of sin – death. If Adam and Eve hadn’t sinned, death would had never come into the world or had any power over us. May God bless you with faith so that you can put all your trust in the Lord Jesus, become His true disciple, get the baptism of faith, cleave to the living Church and follow dearly the teachings of the New Testament so that you may take part to the resurrection of the righteous and inherit the eternal life. Help us God!